Improved sanitation is defined as a facility that safely separates human waste from human contact. In Latin America, 117 million people remain without access to improved sanitation; 22 million people from 19 countries still practice open defecation, and only 20% of wastewater is treated. (www.worldbank.org/). 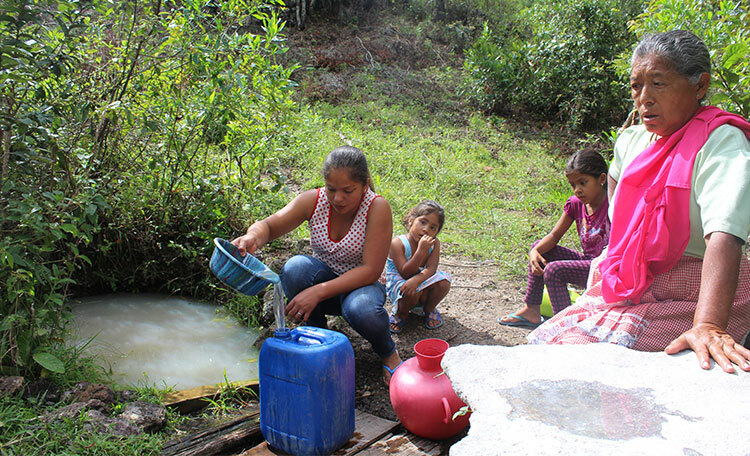 WEFTA volunteer engineers and scientists are addressing these issues on a local level in countries in Latin America by working with rural communities to expand access to improved sanitation facilities, treat wastewater, and institute better hygiene practices by changing social norms. Access to sanitation services and improved management of wastewater at home and institutional settings such as healthcare facilities and schools is essential to reducing diseases, improving nutrition, safety, well-being and educational opportunities for the world population, but especially for women and girls. Unfortunately, in many small communities, raw, untreated sewage is still dumped directly into waterways used for drinking, washing, and bathing, thereby increasing the risk of sickness or death. Improper hygiene and sanitation practices are related to many diseases including diarrhea, intestinal worms, schistosomiasis and trachoma which affect millions of peoples. Improper sanitation facilities and lack of wastewater treatment contributes to the contamination of important water resources within communities; other environmental impacts include the pollution of nearby land and water bodies when waste or sewage flows onto land and into streams, rivers, lakes and wetlands and directly affects the ecosystems there. On a local level there is also the additional visual impact of waste streams near homes, litter, and bad odors. A recent World Bank study found that of the indigenous population in Guatemala only 33% have access to sanitation compared to 77% of the non-indigenous population. Contamination of water sources is a constant threat throughout Latin America – only 5% of sewage is treated before it is returned to the environment. 69% of schools globally have basic drinking water service and 66% have basic sanitation service, but only 53% of schools have basic hygiene services.